Deliveroo is bringing the world’s best local restaurants to everyone’s home or office. The food delivery company has more than 1,500 employees globally, so simple and centralized communication is key. Deliveroo is transforming the way people think about food delivery by offering fast, transparent, and reliable delivery from premium restaurants across 84 cities. Quality and convenience are at the forefront of what they do. But with a rapidly growing global team, communication and collaboration became more challenging. Different countries and teams were all using different tools, making it difficult to keep everyone on the same page. For example, when working across internal stakeholders and restaurant partners, Deliveroo employees had difficulty tracking contracts. This led to gaps in documentation processes, slowing down the team’s ability to build new relationships. Deliveroo needed a way to bring the company's communication and content together. First, they introduced Workplace by Facebook, allowing employees to share and update business metrics across countries and showcase work from different business units. Next, they deployed Dropbox, which functions as their centralized place for all company content—contracts, photography, menus, and more. Finally, they rolled out the Dropbox and Workplace integration across the entire company. The Dropbox and Workplace integration brings it all together and functions as a single hub for content and communication, keeping all lines of sharing, recognition and celebration in one place. For example, Dropbox links are embedded into Workplace posts, generating a helpful document preview while still maintaining access permissions and avoiding versioning issues. "Using Workplace combined with Dropbox enables us to keep all lines of communication in one place. This has been a game changer for all our teams across the globe in the twelve countries we operate in." The Dropbox and Workplace integration has led to simplified processes and increased transparency for Deliveroo. Employees now share metrics, content, and wins between teams and countries, making global collaborating easier than ever. 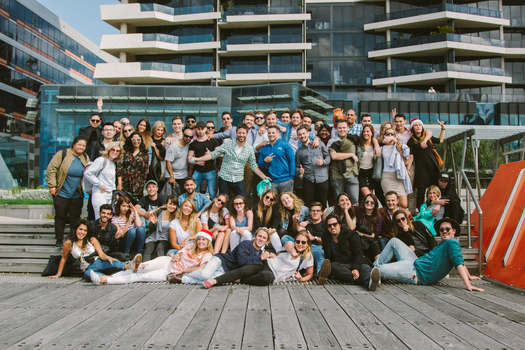 “Using Workplace combined with Dropbox enables us to keep all lines of communication, essential documentation, business metrics, KPI's, streaming of 'all hands' company-wide video announcements, sharing, recognition, and celebration all in one place,” says Levi Aron, Country Manager for Deliveroo. “This has been a game changer for all our teams across the globe in the twelve countries we operate in." Learn how Dropbox helps you get more out of the tools you already love.